ISI 2019 Answer Key will be released within a week after the examination. 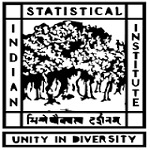 It will be released by the Indian Statistical Institute for various courses. The ISI 2019 Answer Key would provide all the correct answers to the questions put up in the examination. ISI entrance exam is organized at national level for providing admission in various courses offered by ISI & its campuses. Through this article, candidates will get information regarding the ISI Answer Key 2019. The answer key will be released for all the different sets i.e. set A, B, C, and D.
By downloading the Answer Key and comparing it with the answers given by the candidates in the exam the probable score can be predicted. It will be published code wise in odd and even series in the PDF format. Candidates will also get the opportunity to challenge against the answer key. Click on the respective course from the list. After clicking on the link, the answer key for all sets will be displayed on the screen. Download the answer key and compare it and calculate the estimated score. Must take printout of the answer key for further use. During the stipulated period, the candidates are expected to be allowed to challenge the recorded responses or answer key. The prescribed fee for each recorded response/answer key challenged will be around Rs. 100 plus 2.5% bank/credit card related charges. It will be paid through online mode only via net banking or credit/debit card. If any challenge is accepted by the authorities and is found to be correct/valid then challenge fee paid by the candidates would be refunded to the candidates. Any challenge submitted through post or in person will not be accepted. The final answer key will be uploaded after the completion of challenge procedure. The ISI 2019 merit list will be released through online mode. The merit list would contain the names of the qualified candidates of the examination. The authorities shall invite these candidates for interview based on their performance in the admission test. The merit list will be published separately for various courses. Merit List will be released on different dates for various courses. After the release of merit list, candidates can proceed for the interview rounds. The release of the official ISI 2019 Answer Key is a very important event for the participating candidates as they would get a chance to calculate and get an idea regarding their score. The answer key will be provided through online mode only. If you have any other queries regarding ISI 2019 Answer Key then you can ask your queries in the comment box below.